Slingerland is away this week, as he’s too busy being awesome or something. In the meanwhile, we still need some Monday Links, so let’s go! Remember Sonic 4: Episode 1? I sure hope you do. Sega’s Sonic 4 Brand Manager Ken Balough confirmed today that Episode 2 of the series within a series is already in production. Naturally, we’ll have to wait for the first images and teasers of gameplay. However, a few key points were stressed about Episode 2. 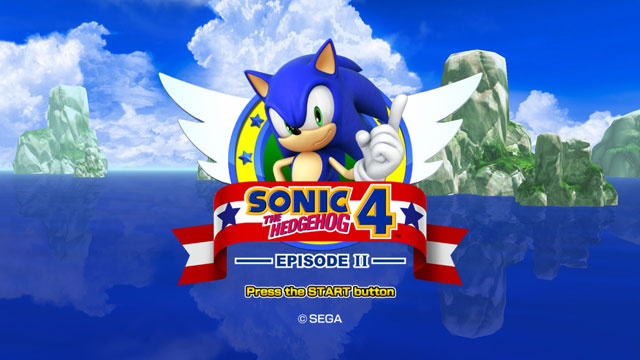 According to Sega, since Episode 1 sold pretty well, Episode 2 may be allowed a bigger budget for development. A lot of elements in Episode 1 that players found problematic are also being addressed, with additional feedback from Sega of America and Sega of Europe being considered. One of these includes focusing on level elements that have never been seen before. Lastly, the company stressed that, despite a certain teaser at the end of Episode 1 when all the Chaos Emeralds are collected, Episode 2 will not be a remake of Sonic CD. The amount of episodes Sonic 4 will hold has also been long decided by the company. So get ready for another year of Sonic 4 goodness. Hopefully this time around, things won’t cause such a massive uproar about every minute detail under the sun. Also physics. For those four of you that have Windows Phone 7 equipped phones, Sega was pleased to announce earlier today that the game is on its way Microsoft’s answer to Apple’s iOS and Google’s Android. By posting it five different times on their Facebook page. There’s no price point and a vague release date of “within the next six weeks.” It’s unknown if the game is a port of the iOS version, though likely, and if Sega will see it fit to bring the game to Android users. So it may not have years of drama behind it, but in the aftermath of the “Kuta Saga” I think we all need a nice, simple video of a guy animating Sonic the Hedgehog all on his own, and in a flipbook. Oh man, I love flipbooks! After who knows how long, the first “scene” of Richard Kuta’s Sonic animated fan film has finally been released. Now, there has been quite the controversy surrounding the entire thing, which is fine. Sometimes controversy creates interest, and interest leads to views and views lead to more interest. Is that what happened this go round? Well…for the few that have been paying attention…not really. To be honest, I don’t even know if this deserves to be posted on the front page, since it’s only a minute of a movie that will likely never be finished. So before we say another word, watch the teaser. Have fun with it. Annual fundraiser Sonic Relief, which raises money for the UK charity Comic Relief, has raised nearly £600 in a month’s time–a huge jump over last year’s £375. In order to give the fundraising group an even bigger boost, Sonic remixers Mr. 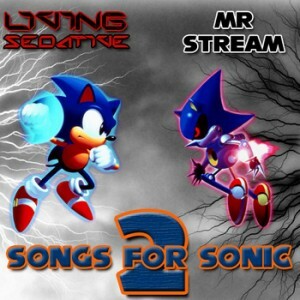 Stream and RadioSEGA‘s GavvieUK (aka Living Sedative) have teamed up to produce Sonic for Sonic 2, an album of Sonic-themed remixes.The first half is handled by Living Sedative and the second by Mr. Stream. The suggested donation for download is £2 (roughly USD $3.25), though an additional amount can be donated if you want. The proceeds from the sales will be donated towards Sonic Relief. The fundraiser runs through March 19, so be sure to grab a copy of the album before then. You can follow Sonic Relief’s progress at @sonicreliefuk. Best of luck to Doctor MK and everyone involved! HELLO MY NAME IS JONATHAN AKA DRUMMOND4LYFE AND THIS IS MY NEW PODCAST ON SONIC RETRO WHERE WE TALK ABOUT VOICE ACTING IN SONIC GAMES AND HOW IMPORTANT IT IS TO THE SERIES. ALSO THERE MIGHT BE SOME BAD WORDS CUZ MY GUIDO FRIEND CHAZ ASSPAT IS ON THE SHOW. OK SO HERE IT IS. Brand new forum member KGB525 comes out of nowhere today with a release retro Sonic fans are bound to be interested in–an original, 14-track album full of music inspired by the SEGA Genesis/Mega Drive’s sound chip, the YM2612. Made using the VOPM VST, Reaper and a Yamaha M08 keyboard, Sonicesque, Vol. I takes inspiration from Mystic Cave Zone, Marble Zone among several other classic Sonic zones to create a collection of music that any Sonic fan is bound to like. “Sonicesque, Vol. I” – an album of original songs in the style of the classic Genesis-era Sonic games. This is a tribute to Sonic composers like Masato Nakamura, whose melodic and rhythmically driven music made you want to play those levels again and again. Fans of Sonic music will enjoy nods to classic levels, such as “Mystic Cave Zone”, and “Marble Zone” among others. These are all original songs, written by myself, Karl Brueggemann. I recorded these using the VOPM VST, Reaper, and my Yamaha M08 keyboard. Thanks for listening, and let me know what you think! You can listen to the album via its YouTube playlist or download the entire thing on Mediafire. Check out the forum thread here. To listen to more of KGB’s music, check out his website – KarlBrueggemann.com.